Written by: Malone on October 22, 2013. 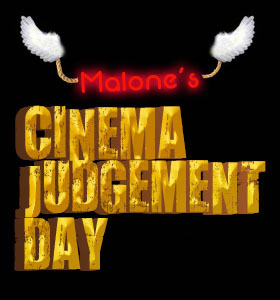 One has to be skeptical when reading that a film is based on or inspired by a true story. It’s almost like buying juice boxes: how much of the stuff is real? This one’s 10% juice, this one’s 20%… this one is 100%, but it’s been diluted with apple juice. How much really occured and how much is the result of “artistic license”? 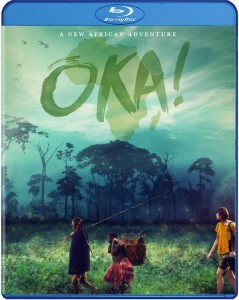 There’s clearly a bit embellished upon in Lavinia Currier’s “Oka!”, coming to Blu-Ray 10/22. Based in part on ethnomusicologist Louis Sarno’s book “Last Thoughts Before Vanishing”, the film takes us on a beautiful, humorous and sometimes trippy journey through Central Africa. In some ways it reminded me of an episode of “This American Life”… but with elephant steaks and a whole lot of smoking. Don’t know what an ethnomusicologist is? It’s someone who studies the music of other cultures. Larry Whitman (Kris Marshall) is the leading expert in the sounds of the Bayaka, a group of African pygmies that stand no taller than 4’6″. On visiting his doctor (Peter Riegert), Larry learns that his liver is failing and he must give up his adventuring… a directive worse than death. He immediately hits up a wealthy patron for the funds to return to the Bayaka and sets out to record the sounds of the only instrument of their to elude him: the mythical molimo. Upon his arrival, Larry learns how endangered the tribe has become, as modern sawmills cut away at the forrest they have called home for thousands of years. There are also some shady dealings going on between the mayor, Bassoun, (Isaach De Bankole) and a Chinese wood barron (Will Yun Lee) that could result in the Bayaka losing everything. 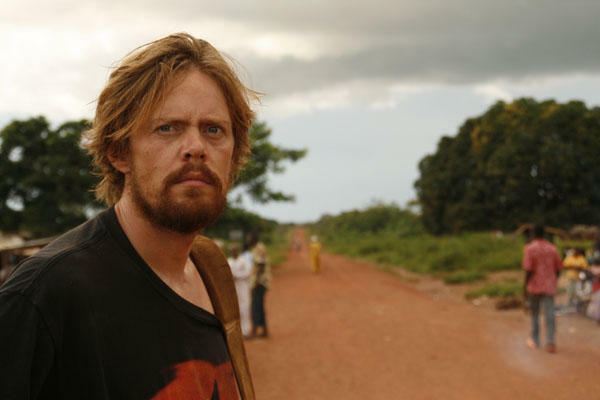 Larry (Kris Marshall) is an ethnomusicologist in Africa. Currier shot on location and used actual tribes-folk to portray the Bayaka. Speaking their native tongue (that seems to be peppered with French), these people add a vibrancy and authenticity seldom seen in a trained actor’s portrayal. I don’t think I’d want to see them try to pull off Shakespeare, but if you’re going to travel to Africa to do a film about this group, I want to see them being them – regardless of the film being scripted or not. An interesting touch that could’ve been replicated, but thankfully wasn’t is the Bayaka smile. The tribes-people have ground their teeth into sharp, pointy little things that look like they belong in the mouth of a gator. It’s both intimidating and cute… like Stitch from “Lilo and Stitch”. Most importantly, it’s real. It should also be noted that most of the music in the film is also authentic Bayaka music, much of it recorded by Sarno, himself. Conrad W. Hall’s cinematography is simply breathtaking. Warmly lit African landscapes go on forever, as opposed to the steely, clausterphobic look presented when Larry is in New York. The village’s energy is palpable, making you wish you were there and feeling like you actually were once the credits roll. While the story is decent, the narrative is a bit lacking (as is character developmet) so this sort of “vicarious presentation” becomes the strongest and most alluring part of the film. The acting is OK, though Marshall always portrays Larry looking frazzled, like he’s taking the pygmy plight more seriously than they are. Maybe he is, since their endangerment seems more recent than his last visit. Perhaps it’s because the tribe is made up of non-actors… I don’t know, it doesn’t matter. Everything here seems to exist primarily to serve the virtual tour of Central Africa and the study of the Bayaka. It’s like the spoonful of sugar helping the medicine go down, though the medicine doesn’t taste too bad as it is. Looking to record a near mythic instrument, Larry lives among the Bayaka pygmy tribe. “Oka!” scores 3 out of 4 angels. I don’t know how much of this film actully came from Sarno’s writings or experiences, but he certainly helped craft an amazing non-documentary. I wish they would’ve gotten into the characters a bit more – I feel like I know precious little about Sarno other than he still lives with the Bayakas, but the story as it is is sufficient. ”Oka!” isn’t only a movie, it’s the opportunity to experience the sites and sounds of another culture. Hell, another world.